Each of the skill domains (described below) is reflected in the image to the right (courtesy of McKenna & Stahl, 2012), which seeks to illustrate how the development of skills in these three areas must be developed in parallel if reading comprehension is to develop fully. These three skills in the diagram are as follows: word recognition/fluency (constrained skills), reading strategies/habits (intermediate skills), and knowledge/vocabulary/language development (disciplinary skills). Disciplinary practices, however, include the more specific discourses and knowledge practices that are often linked to the aims and objectives of different communities of practice. 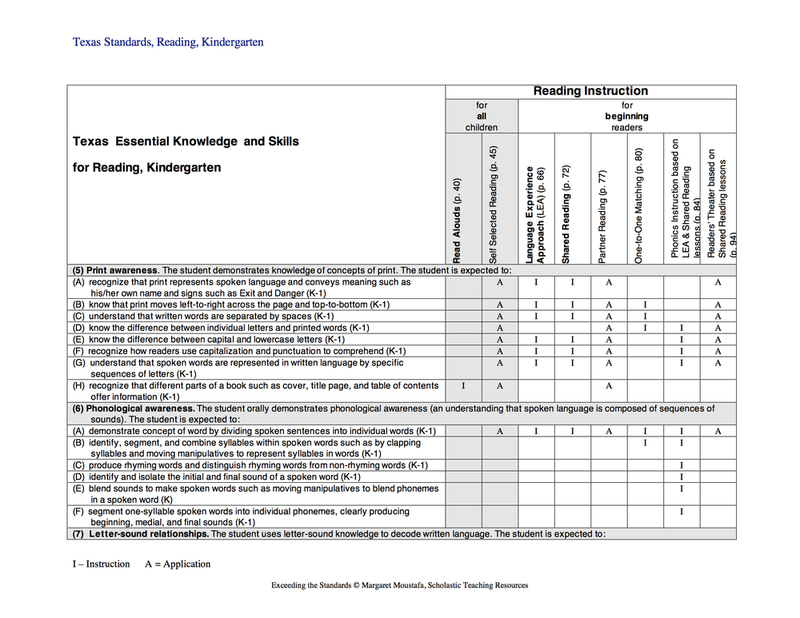 As Goldman writes, "comprehension instruction that focuses only on generic reading strategies ... falls short because comprehension itself becomes more complex and expansive as students mature and progress from grade to grade.” (Goldman, 2012, pg. 96 - 97) When we read and write in particular contexts, we must utilise the conventions of the fields of practice to make and express sense, whether this involves the domains of history or religion or commerce, etc. Disciplinary practices are complex in nature and draw upon a range of verbal and non-verbal knowledge. 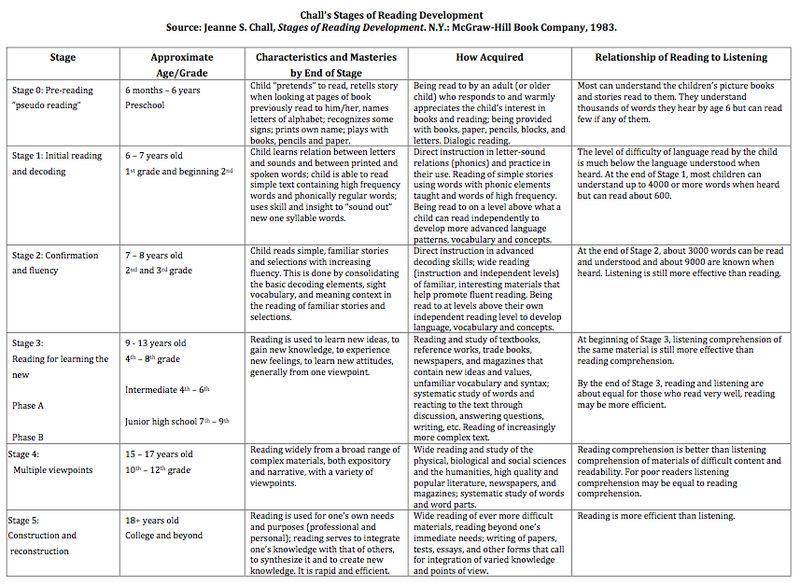 The following table also illustrates a significant point, which is as follows: at any given stage there should be literacy elements that we expect the individual to be able to complete independently as well as elements that individual can complete with guidance (e.g. prompting or scaffolding) and/or jointly with a peer or adult. The above table also illustrates how we should also consider literacy elements that the learner can be exposed to and can participate in, but which the learner will not be asked to reproduce, such as appreciating the heights of language in a Shakespearean play or the diversity of artistic practice by visiting an art gallery. Such experiences should not be underestimated as they can go a long way in fostering positive attitudes and identities. Such experiences do not replace practice, though they can provide a relevant context for practice. Courtesy of Moustafa, M. (2008). 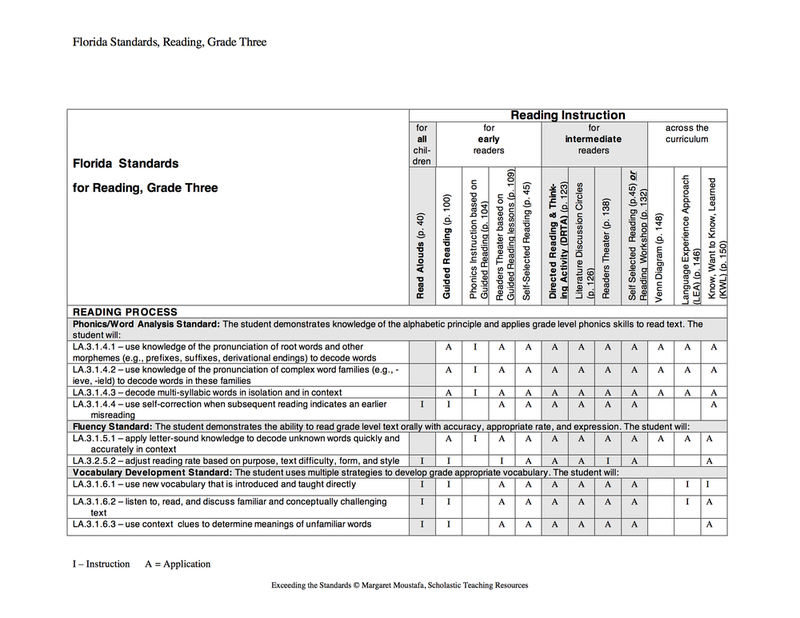 Exceeding the standards: a strategic approach to linking state standards to best practices in reading and writing instruction. New York: Scholastic.